Remarkably NASA's Astronomy Picture of the Day has selected another SkyCenter image to feature on its website August 17th 2012. This is the second image this month in as many weeks for the SkyCenter! 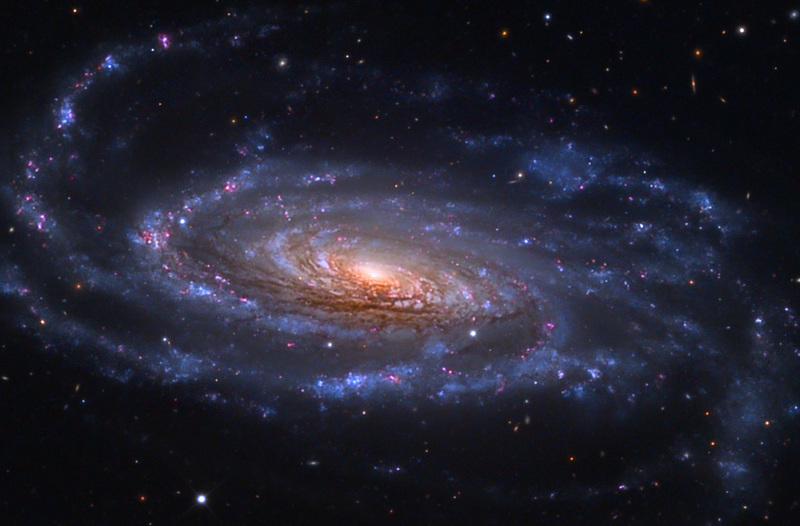 The picture is of a spiral galaxy, NGC 5033, which is located approximately 40 million light years away from Earth. More than 14 hours of exposure time (many shorter exposures combined) were spent to collect enough information to render this image. It required another handful of hours to process and produce the result shown in our gallery.